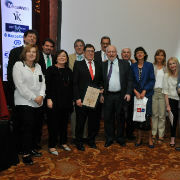 The Panamanian Friends hosted TAU water expert Prof. Dror Avisar at public and private engagements. President of the newly-established Friends Association in Panama, Millie Bettsak and her husband Avraham, hosted an elegant dinner at their home in the presence of the Israeli Ambassador to Panama Gil Artzyeli. 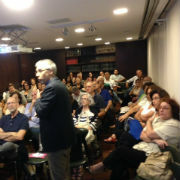 For many of the 40 guests, this was their first encounter with Tel Aviv University and they were enthusiastic to hear from Herman Richter, Senior Resource Executive for Latin America and Spain, of the exciting research and scientific breakthroughs currently being conducted in a diverse range of fields at the University. Guests then heard from keynote speaker Prof. Dror Avisar about his work in the area of pharmaceutical contaminants in the aquatic environment. 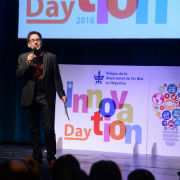 Prof. Avisar presented his research on the removal of chemotherapy chemicals from hospital wastewater at several forums including the Technological University of Panama and the City of Knowledge Foundation, an NGO that manages the City of Knowledge – a campus comprising recreational, cultural, and corporate spaces used by local firms, international organizations and academic and research institutions to create a collaborative community working towards sustainable development based on knowledge. Prof. Avisar also met with the Minister for the Environment Mirei Endara and other government officials to present his technology and its applications and discuss future collaborations.